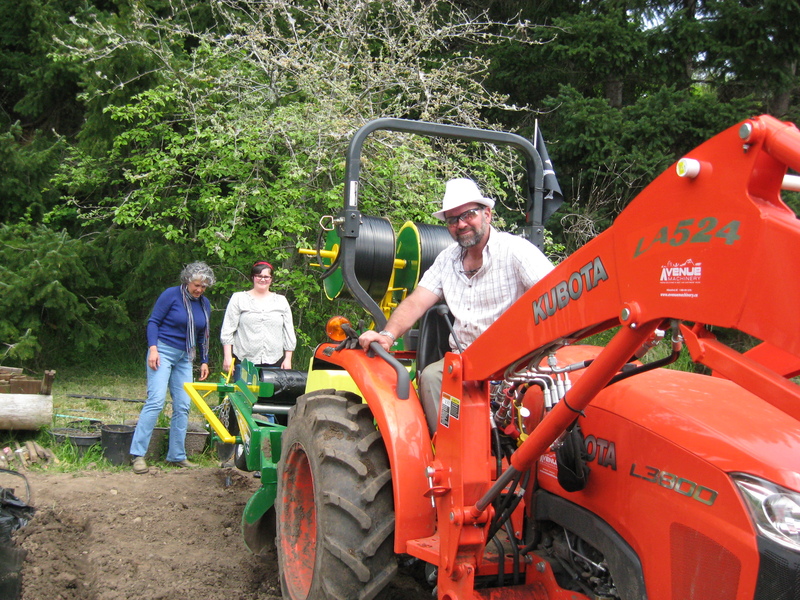 We are planning a planting work party to complete our potato planting, for this year, at Galiano Sunshine Farm on Tuesday, July 3rd, all day. If the weather cooperates, this session will wrap up our planting; but if Monday is wet and delays land preparation, we may have to plant on Wednesday. Come and help us plant potatoes, tour our potato fields and have your potato questions answered. This is likely to be the last year that we plant our crop the old-fashioned way; we expect to have a new planter next year, so this may be your last chance to plant our potatoes by hand! if you can not spare most of the day, come in the afternoon to be there for the finale. All participants can share in our potato harvest, as will the Galiano Food Program. We plan to have a small party to celebrate the completion of potato planting. Everyone is welcome.